Textured ceiling surfaces are typically out of date and can make a home seem much older than it may be. By simply removing popcorn ceilings or any other type of textured ceilings in favor of a smoother surface, the entire look of an interior can be completely transformed. In fact, ceilings are often overlooked components of a home, but they make a massive difference in the look and feel of a space. If you’re considering replacing your current textured ceiling for a smooth surface, be sure to hire the experts in this field to ensure a job well done. Removing popcorn ceilings and other textured ceilings and replacing them with a more modern finish is a much more involved job than meets the eye. This type of endeavor is extremely time-consuming and labor-intensive, and should only be tackled by those who have had their hand at such projects in the past. Our team uses nothing short of the latest equipment and techniques to remove any popcorn or textured ceiling, saving clients both money and time and leaving them with a ceiling surface they love. 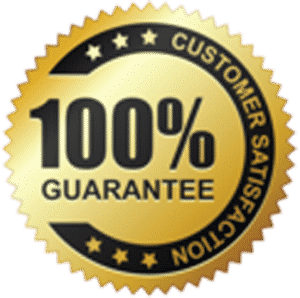 Thanks to our highly skilled and trained staff coupled with our use of the highest-quality materials, we guarantee impeccable workmanship that is attractive, long-lasting, and affordable. Our philosophy focuses entirely on 100% customer satisfaction, and our vast expertise in all areas of textured ceiling replacement and removal will ensure that you will be nothing less than completely satisfied with all aspects of our performance, materials, and prices for residential and commercial applications. Let us transform your dated, unsightly textured ceilings into much more modern surfaces that you can be proud of. Leave your ceiling removal project to the best in the industry: The Ceiling Specialists!